Flash is a modern furniture set designed for users who like a combination of a good design and function. Unusual set appearance with a well-matched LED lighting will make your apartment unique. 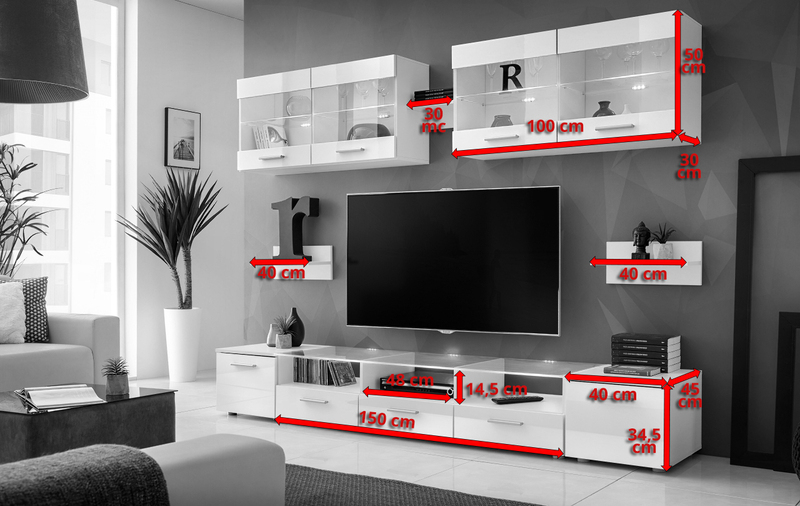 This set comprises of: 1 floor cabinet with 8mm glass top with 3 drawers and 3 open compartments, 2 floor cabinets (40cm), 2 wall display units, 2 shelves (40cm) and 1 shelf (30cm).